The hill-country capital of Kandy lies on a plain amidst towering hills and looped by Sri Lanka’s largest river: the Mahaweli. The town’s pleasant temperate climate, its scenic location and its rich history has made it a favourite haunt for travellers. It is also the natural gateway to the stirring peaks of Sri Lanka’s hill country. 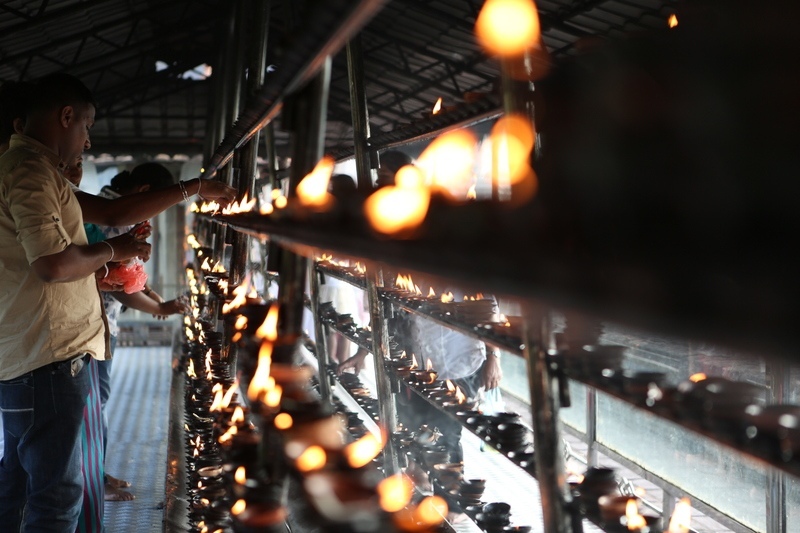 Now a tiny but bustling city, Kandy still regards itself as the bastion of Buddhist philosophy. During the months of July and August, Kandy dazzles with the sounds and lights of the Kandy Perahera – a magnificent procession where a sacred tooth relic of Lord Buddha is majestically paraded on elephant back along the streets of Kandy. Kandy, the city that is surrounded with beautiful mountains, old buildings and countryside, a sacred lake in the middle of the city, is also home of the temple of the Buddha’s Tooth Relic and it also prides in Great annual festival (Perahera) that attracts thousands of pilgrims and visitors once a year during the months of July or August. It was the Capital of the last Sinhalese kingdom after enduring the Portuguese and Dutch: Kandy fell into the hands of English in 1815. It is a historically rich city. 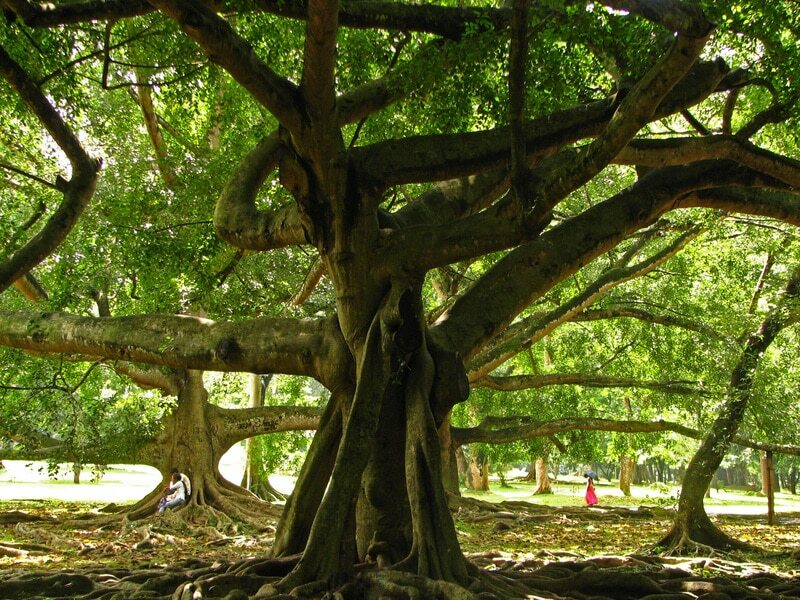 Many travellers use Kandy as a base to explore the ancient cities of the Cultural Triangle and the hill country. Many travellers arrive straight from Airport to Kandy to organise from there tours all around the island. 1. A pooja at the Temple of the Tooth in honour of Lord Buddha. The Temple of the Tooth, the Dalada Maligawa, is an iconic building set in the centre of the city and overlooking the beautiful Kandy Lake. The Temple of the tooth holds Sri Lanka’s most important historical object, a sacred tooth of the Buddha. The story goes that this tooth has been taken from Buddha’s Cremation in 543 BC. Then the tooth was smuggled into Sri Lanka in the 4th Century AD. The temple has been built in 16th Century. Don’t miss the Udamale (upper storey), which keeps the relic, Sanctuary, Audience hall and back of the temple is the museum. The Kandy Lake right in front of the Temple was built in 1807 by the last king who ruled the city. It was known to be the place where queens bathed. The island in the Centre was used as the king’s harem. Do not miss the pooja (prayer) time at around 7.00 pm every evening. The Peradeniya Botanical Garden was the 14th Century Queen’s Pleasure gardens, and then became the home of a Prince in the 18th Century. In 1821 it was changed into Botanical gardens. It is surrounded from 3 sides by the longest river in Sri Lanka Called “Mahaweli”. The Garden boasts Orchids, and many specializing streets are to be found. Among them you should watch out for the Double Coconut Street (each Coconut is around 8 Kg to 20 Kg), Royal Palms Street, and Cannon balls Avenue. Most Names of the plants are given on a board next to the plant and you would find around 4,000 labelled types. The Knuckles mountain range is well spread out, so it is not an easy one-day explorative site. It all depends on you how long you wish to stay in knuckles. But it is definitely a great place for great walks, treks and camping. It is named as such because it looks like a closed Fist: a mountain range spread high above 1,500 Meters and has a place exceptional montane forests. The knuckles range spreads from wet zone to dry zone; some of the flora and fauna are only found here in knuckles and nowhere else in the world. The annual rainfall range of 2,300-5,000 mm: there are leopards, barking deers, mouse deers, Sambar deers, wild boars, Loris & Toque macaques and 150 types of birds: among them some are endemic to knuckles only. Some of the village incomes are becoming a very big concern to the Knuckles patana (terrains): among them, Cardamom, timber, cane and treacle are first. 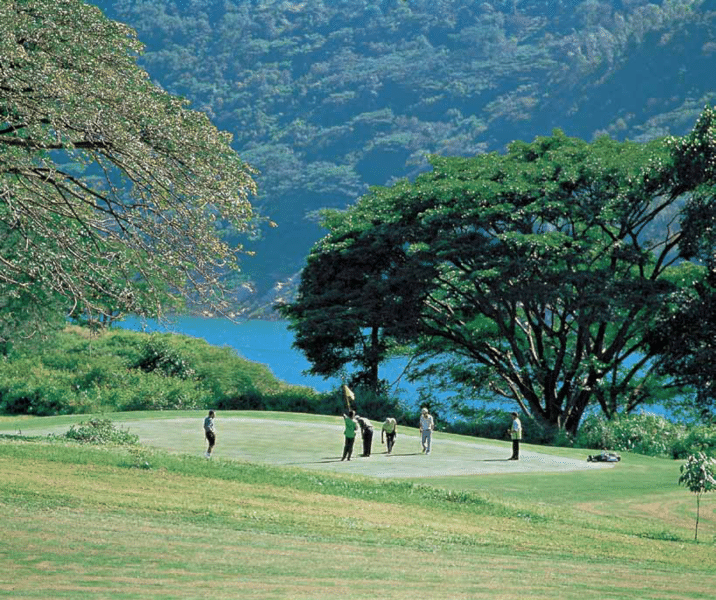 It is a right if we say this is the best Golf course in Sri Lanka and Asia. Surrounded by the stunning Victoria reservoir and Knuckles on its background, makes this a fascinating place to play Golf or Have lunch. The Course and Country Club is a 500-acre estate on the edge. The Country club has a host of activities on offer, such as swimming, tennis, horse riding and nature trails. However, it is the Donald Steel designed golf course that is Victoria’s star attraction. All 18 holes at Victoria would be regarded as stand out holes on other courses: it is however the par 4, 6th, that has become Victoria’s signature hole. The course is young as 1997, it is well established and with large Mara trees lining the fairways: this course does not show its young age, quite the opposite. In fact as this course was voted ‘Best in Asia 2005’ by Asian Golf monthly and ranked in top 100 ‘Most Beautiful Courses in The World’ by Golf Digest Magazine. The Hanthana hills offers special hikes a few minutes from the town’s centre, while the Tea Museum shows the history about the production of this world-renowned Ceylon Tea. 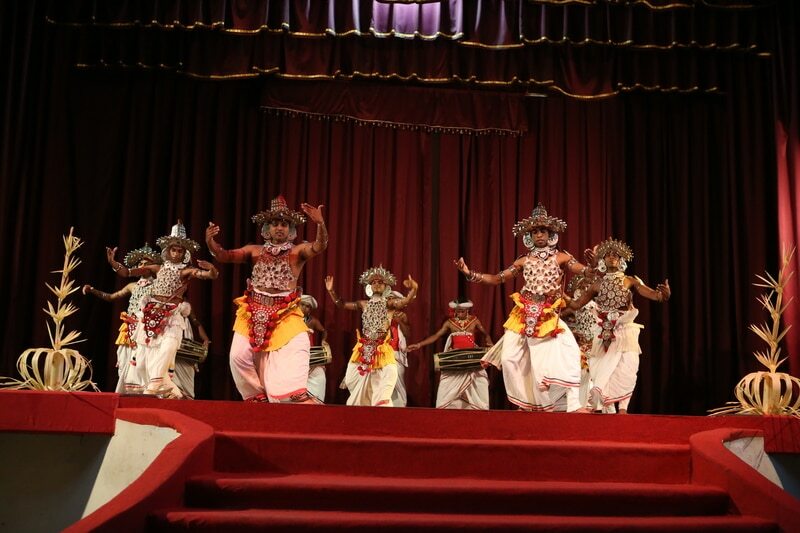 Every evening there is a Kandyan Dance show (also known as cultural show) and it is a sight not to miss. The Dance was done during the king’s times as an entertaining show for the kings. However, its popularity reduced when the British took over, but now it has revived and taken on for the stage. The Kandyan Music & the Dresses all are a beauty to watch. 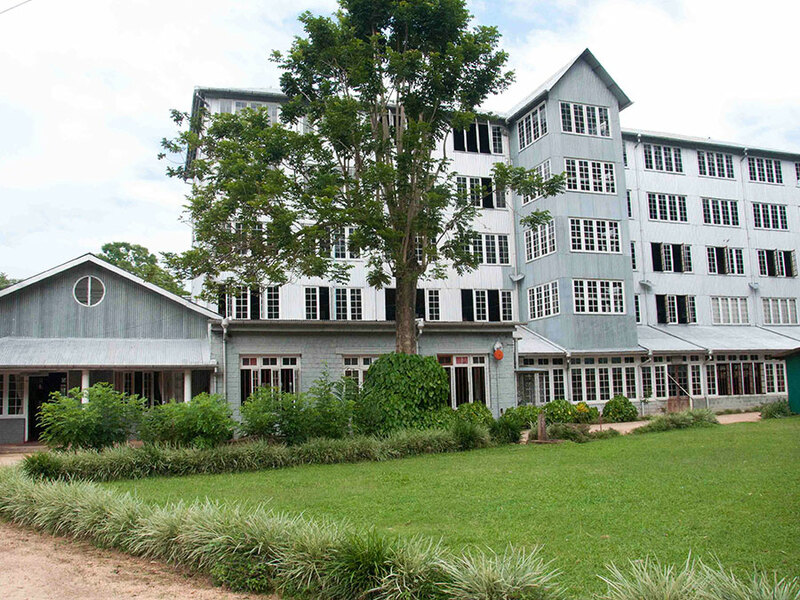 You can enjoy the show at three different locations: the Kandy Lake Club, the Kandyan Art Association and Cultural Centre (one of the most famous and crowded too), and the Mahanuwara YMBA. 7. 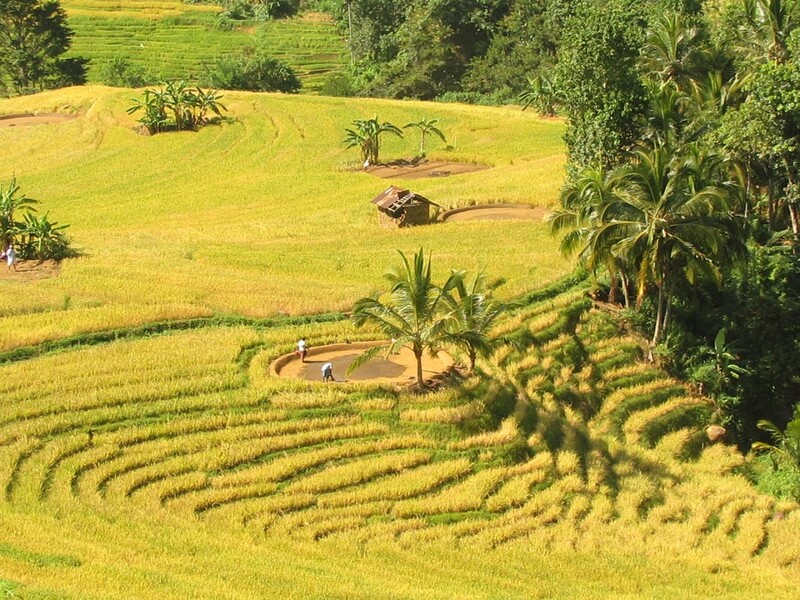 A trek in the villages near Kandy, to discover natural Spice Gardens and paddy fields. Kandy is a great starting point for trekking and nature escapes. We at Paragon Holidays offer you unique community-based experiences that will allow you to discover the local culture and traditions of villagers in the hill country of Kandy.